That is, a “Jack Flashback.” My close friend in Florida Angie Druetta sent me this photo in my email this morning, and it melted my heart. My parents, God love ’em, suffered through my stork delivery nearly as much as I did. I went in at 9 a.m. on November 2nd with Pitocin and ended up with a c-section at 4:42 a.m. the next morning. I never went into labor. The kid was already 2+ weeks late. My due date was October 18th. I was hoping for a Libra, but I got a Scorpio kid. It’s worked out well so far. My parents never left my side, so it was only right that they held Jack more than I did in the first few hours of his young life. 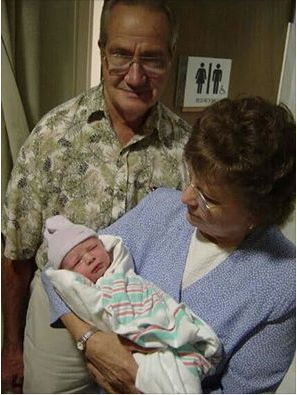 Mom and Dad, with Jack, who was just minutes old. Pensacola, FL, Sacred Heart Hospital, 2003. 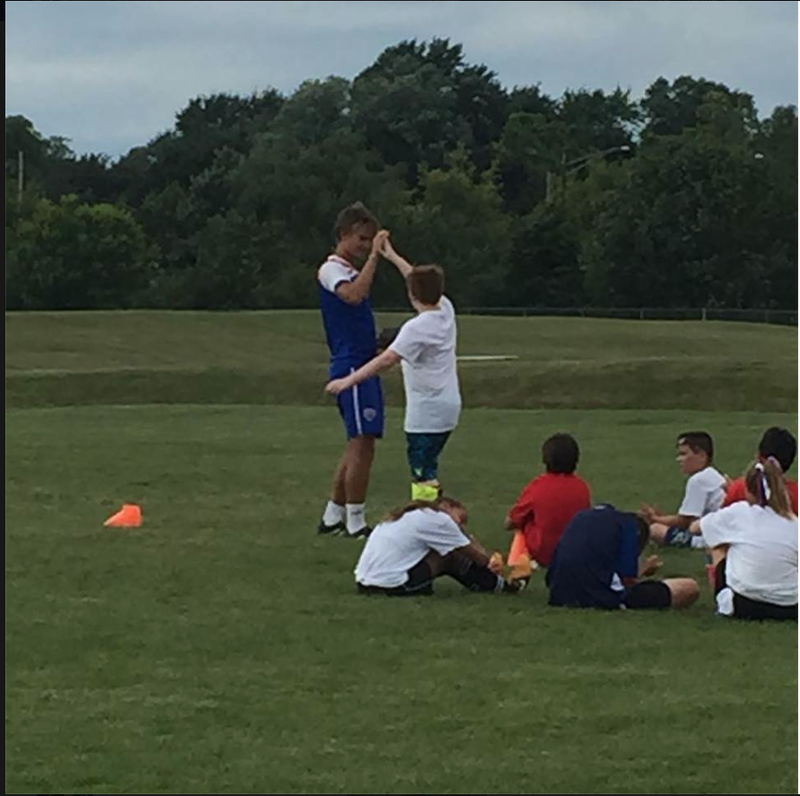 Jack gets a congratulatory “high-five” from British Soccer Camp Coach Tom. Posted on August 8, 2015 by DaveandDeniseDorman	• This entry was posted in Comic Book Wife, Life Observations, Mommy Blogger, Parenting and tagged British Soccer Camp, Mommy Blogger, North Korea, Parenting, Soccer. Bookmark the permalink. I’m sure Kim Jung Un is very pleased. LOL! Yeah, it was a pretty crappy looking flag!